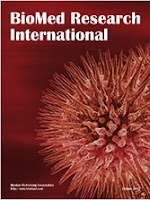 Candida species, especially Candida albicans, are major fungal pathogens of humans that are capable of causing superficial mucosal infections and systemic infections in humans. 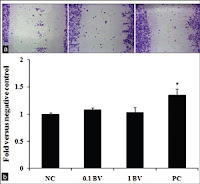 The aim of this study was to evaluate the jujube (Zizyphus spina-christi) honey for its in vitro inhibitory activity against pre-formed biofilm and its interference with the biofilm formation of C. albicans. The XTT reduction assay, scanning electron microscopy (SEM) and atomic force microscopy (AFM) were employed to determine the inhibitory effect of Jujube honey on C. albicans biofilm. Changes in the infrared spectrum after treatment with honey were also determined by Fourier transform infrared (FTIR) spectroscopy. Jujube honey affects biofilms by decreasing the size of mature biofilms and by disruption of their structure. At a concentration of 40% w/v, it interferes with formation of C. albicans biofilms and disrupts established biofilms. The SEM and AFM results indicated that this type of honey affected the cellular morphology of C. albicans and decreased biofilm thickness. The present findings show that jujube honey has antifungal properties against C. albicans and has the ability to inhibit the formation of C. albicans biofilms and disrupt established biofilms. A variety of stress factors are known to inhibit male reproductive functions. 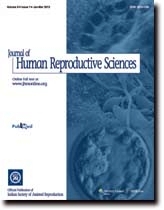 So this study was conducted in order to investigate the effects of honey and vitamin E on the germinative and somatic cells of testes of rats exposed to noise stress. Mature male wistar rats (n0 = 24) were randomly grouped as follows: Group 1 (honey + noise stress), 2 (vitamin E + noise stress), 3 (noise stress,) and 4 as the control group. In groups 1, 2, and 3, rats were exposed to noise stress. In groups 1 and 2, rats also were given honey and vitamin E, respectively, orally for 50 days. After that, the germinative and somatic cells of testes parenchyma were isolated by digesting the whole testes by a standard method. Next, viability, apoptosis, and necrosis of the cells were evaluated by TUNEL kit and flow cytometry. The rates of apoptosis and necrosis of the testicular cells were increased (P = 0.003 and P = 0.001, respectively), but viability of these cells decreased in testes of rats exposed to noise stress (P = 0.003). 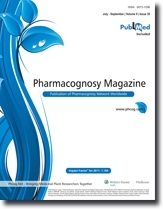 However, administration of honey and vitamin E were significantly helpful in keeping the cells of testis parenchyma alive, which suffers from noise pollution (P < 0.05 and P < 0.05, respectively). Noise stress has negative influences on the cells of testicular tissue by increasing apoptotic and necrotic cells. However, the associated enhancement in healthy cells suggests that honey and vitamin E have positive influences on the testis parenchyma.